The Wild Horse Roundup issue, within our Western United States, remains controversial. Assuredly, and due to several reasons that, when scrutinized, simply do not meet the standards of a proper and legitimate decision making process. Being costly also remains an understatement. To put to death, or send to slaughter Wild Horses — no matter how convoluted the ultimate process toward the slaughter — make no doubt the BLM is responsible. This article discusses one aspect of this heinous situation, the BLM’s inappropriate and flawed head-count-procedure of America’s Wild Horses on our Public Lands. The fact is this: Horse Roundups and Facilities Temporarily (corrals belong to the ranchers of BLM friends, legislator’s friends, and special interest groups and corporations) designed to hold horses from the unnecessary roundups. These temp facilities cost taxpayers in excess of $3.2 million dollars a year (when everything taken into consideration, hay, lease/rent of facilities, supposed medical aid, et al., and a far more honest figure than what BLM places in their rigged budget accounts used for public scrutiny), taking in consideration the cost of roundups, personnel costs, private contractor costs, shoveling of money to others to make it sound legitimate, and the costs to welfare ranchers in subsides and other annuities (only because they hold a Public Lands Grazing Permit) are the only people demanding the Wild Horses off Public Lands. Oddly, the people footing this tremendous bill with their tax dollars, the majority, are against this situation — as well as receive no benefits what so ever from such large and extravagant use of our tax money. Add to this several more methods that Welfare Ranchers use to obtain taxpayer money frequently, paid also by tax dollars unnecessarily, and for no need, and using out-of-date programs that do nothing for tax payers (i.e. Corporate Welfare), and in these same areas, and you have costs spiraling just for Administrative expense upward of $625 million dollars yearly. Very Extravagant! Very Unnecessary! Compare this to a mere $150,000 yearly budget to simply manage the horses appropriately as Free-Roaming and within HMA Boundaries, and we have America’s horses protected in a responsible manner – as they remain on our Public Lands. This process is important to many Horse Advocates, because Wild Horses’ are chosen for slaughter on a supposedly error-free-based matrix of data, was illegal but now through unethical additions to the Wild Horse and Burro Act, mostly non-ratified correctly, ironically in reality meant to protect wild horses, is corrupt and fraught with erroneous head count data. BLM employees and private contractors ignore the law, are cruel and abusive to the animals, while contriving false excuses as to why the roundups exist in the first place. Ultimately, BLM administrators cover-up these shameful questionable acts of abuse, and move along in an egocentric-mode of ignorance and unethical ,as if the horses are not going to slaughter, rather, to adoption. But they are not! BLM employee self-deception exists here, unfortunately from the BLM leadership spiraled out of control and downward for many decades now. The Bureau of Land Management’s (BLM) data gathering process and predictions are created upon faulty interpretation, faulty software template-modeling programs, often done by guess work, or summarizing estimated percentages as actual head count data. Their data base creating the template for Wild Horse Counts faulty, so the mess continues over the years, until there exists a supreme number of Wild Horses on Public Lands, which in reality are not there at all. . . But taxpayer’s once again pay for things that do not exist, or faulty decision-making based upon faulty-data and misinformation. Supposedly there does exist a formula, “available feed per acre = horse herd size” (i.e. afpa x hhs = data), but even this becomes a random equation manipulated by ambiguous orders from Administrators located on the east coast, most often politically driven by special interests, to include Big AG and the NRA, oddly. Welfare Rancher’s, for example, and BLM employees also like to state Wild Horses Browse for the same types of food — this is untrue. . . yet roundups based on the priority, cattle, and the low abundance of food sources, claiming Wild Horses eat the same substance — Once again taxpayers and horses lose from this disgraceful situation of lies, fraudulent subsidies to welfare ranchers, and much more criminal activity. Corruption at its worst, and no light at the end of the tunnel toward resolution, what so ever. Yes, no matter how they attempt to disconnect themselves from this on slot of horse slaughter, they are the guilty parties. To assume the BLM is a profitable enterprise within the government makes even less sense, and a short perusal of expenditures shows this as fact. Yet another outright Lie given to the public by BLM employees, supervised by the Department of the Interior. The earnings from grazing permits, for example, simply placed into a slush-pool accounting system where tracking such money is near impossible — called Money-Laundering in our society, called a General Fund Pool in BLM-Double-Talk. We can assimilate one report generated by BLM, the OREGON BLM WILD HORSE AND BURRO POPULATION DATA — Report Date: September 29, 2009 (i.e. retrieved from the Internet site http://www.blm.gov), as a good example. This journalist observed for two weeks the Pokegama Horse Management Area (HMA) in the southern Oregon Cascade Mountains, both on land and in helicopter. This is one of a few Horse Management Area listings on their document. This area is intermixed with logging and various-sized working cattle ranches. The cattle ranchers and logging operations are called “Stakeholders” by the BLM, which is nothing more than another term to receive taxpayer based subsidies and promote criminal activity — stealing of Wild Horses to send to slaughter. Somehow the actual owners, all of us as legitimate taxpayers, seemed to be left out of this equation. As a “Stakeholder” it allows the ranchers to actually load and take to slaughter any horses they feel have infringed upon their land (letters from BLM Supervisory Staff admit complacency as well as being cooperative, and other documents confirm such activity and corrupt situation); But this is a direct conflict of Federal Law! Although, the HMA situation was developed to provide not only a priority to Wild Horse Herds in a given area, but protection from being slaughtered, whether it be a shipment to Mexico, Canada, or shooting the horse on site. 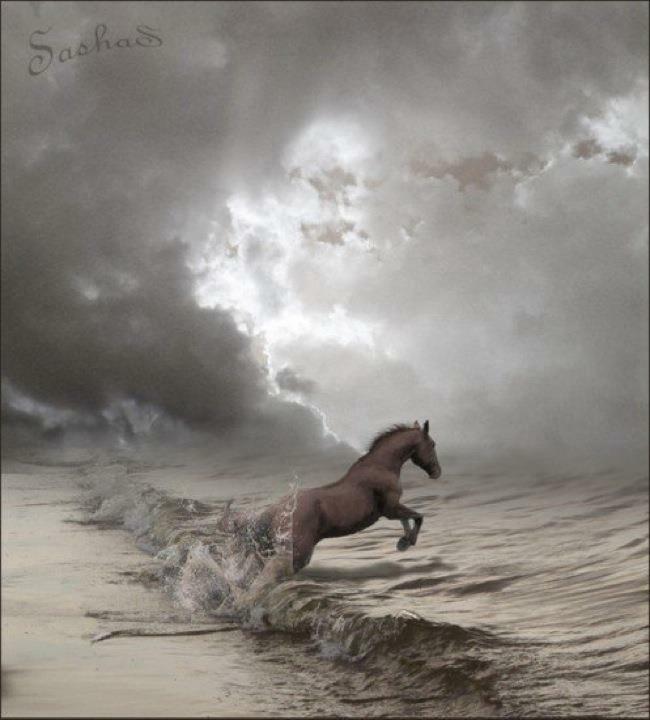 In reality and since the Sept. 29, 2009 report used, there should exist for all intents and purposes of sending Wild Horses to slaughter, the appropriate percentage of growth in each horse band-herd. This should exist, in real number head counts, within a year or two from this report (i.e. a constant 20% to 23% yearly increase). The BLM gives this percentage even to the extent of 30% growth patterns. But in truth, at the Pokegama HMA a 2% to 4% yearly increase is a definitive number most of us agree upon. Then at-birth-foal-death-rates are to be considered at perhaps 50%, wild horse aging and death rate at 18%, and disabilities acquired through living in the wilds and survival rates at 16%, and reality knocks upon the BLM door, screaming, where the hell do you get your head-counts? Once again it is taxpayers paying for something that does not exist, and never has at Pokegama HMA. The Pokegama Horse Management area, in the BLM’s Lakeview District, is approximately 35 miles west of Klamath Falls, Oregon, off of State Highway 66. It is a heavily forested and mountainous area from 4,100 feet up to peaks of 6,000 feet, from Highway 66 to the northern California border. We acknowledge that one day no wild horses will be within the Pokegama HMA, but simply domestics that have been turned-out, to survive for themselves. And also, we can assume from history, that for budget reasons, the BLM Management will count the domestics as wild, and continue to lie abut how many there does exist at that HMA. Unfortunately the BLM likes to keep the public in the dark in regard to their statistical data, and how they collect it. Temporary BLM employees (wanting to be accepted as permanent employees, and will do anything to do so) are placed in charge of this head-count most often, which is done in the Pokegama HMA. The September 29, 2009 head count data is the only information available to the public, and apparently roundups are predicated on these numbers. Other miscellaneous counts are available, but should be considered flawed when based upon previous yearly counts, this being one of many. First, while speaking to the locals in Keno, Oregon, this journalist found reasonable discrepancies right from the beginning of the investigation. Many who spent time in the woods in and around the Pokegama HMA area seen little to hardly any Wild Horse activity throughout the years? This could probably be assumed as being a few Wild Horses in an extremely large and mountainous area. Discussions also centered on the fact that out of the 13 or so Wild Horses seen – three to five horses per band, locals would cull their favorite horse from the heard and essentially claim it as theirs. This journalist also had seen three domestics, with recently trimmed hooves and saddle-sores on their backs. The assumption being they were perhaps dropped off, with the previous owners hopes they could intermix with the Wild Horse Bands within the area. When this journalist seen them they were not intermixed with any band across the valley floor, at least right then. 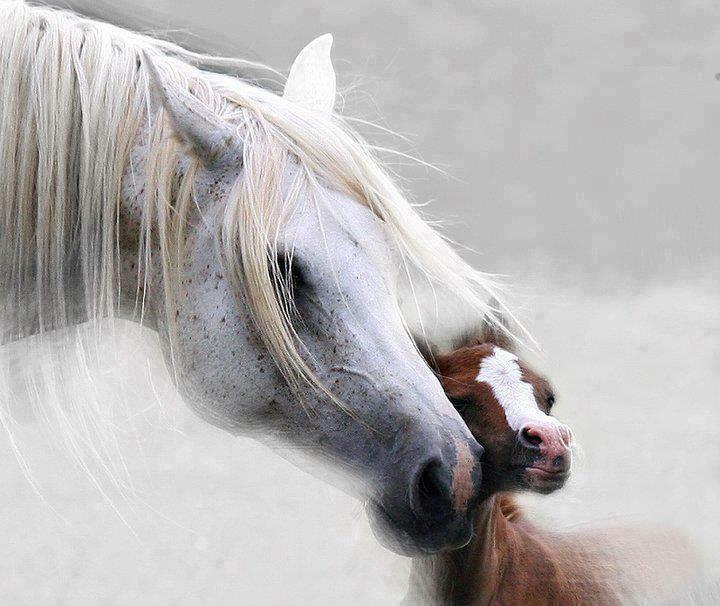 Wild Horse behavior would take over, eventually, and whether or not the domestic horses would intermix remains highly questionable at best. . . This journalist counted at least six horses from the Pokegama Wild Horse Herd were adopted, upon general conversation with the locals. This left the remaining 13 sighted as available, considered being the remaining Wild Horse Herd presence in the Pokegama Horse Management Area. The Pokegama HMA, OR0018, claims the BLM manages (Taxpayers Land) 16,894 acres of HMA land use. This means 16,894 acres is designated as a Horse Management Area as priority, whereas, the Wild Horse Herds are protected as a priority based element within this acreage and by law. Apparently, the last Gather Date, or Wild Horse roundup, was given as 6/10/2000, but no reason was given as to why. Often and within this district, Environmental Assessments (i.e. EA) are simply not done, or copied from previous assessments and left unsigned. I can be assured this practice will continue, as no liability given to anyone responsible, at least for the false EA. As well, there was no previous head-count given or an appropriate count for that matter. The last Census Date given is 10/15/2004. Many questions can be developed within this particular data. So the BLM management is telling us, essentially to the taxpayers and the actual owners of this land, that there existed on 10/15/2004, (their phrase as “Actual No. on Census Date”) 30 horses classified as being the total available of the Wild Horse Herd on this HMA. They roam 16,894 acres of extremely healthy wooded and grass lands, in a Horse Management Area protecting the Wild Horse Herd as a priority, again by Federal Law. This journalist can attest to the fact there was, and remains, more than enough land for cattle grazing, multi-purpose sport use, as well as simply leaving the Wild Horse Bands alone. In this journalist’s perception, perhaps a total amount of herd-growth could comfortably be 150 to 200+ horses in total, within perhaps 8 to 12 Bands, and certainly not out of the question in this HMA. The seasonal grass and feed usage would essentially be unhampered by a larger Wild Horse Band sizes simply from extremely low-real-time head counts, with no compromise toward the ranching of domestic cattle in feed and grazing attributes. Here’s where things get questionable, once again. For some reason this journalist cannot get an appropriate answer from BLM. Again, by the BLM’s report the “Estimated Population of Horses” in the area is 72 Wild Horse’s available (taken to mean counted — aerial fixed-wind aircraft or helicopter), and apparently in 2009 and for this report. The BLM then states as the “Appropriate Management Range” as 30, with a Level (Journalist takes this to mean Maximum, but still unsure) of 50. But this is not true under the guise of their own footnote statement, as you will see. This journalist explored, both by air in a helicopter, as well as on foot and in a vehicle, most of the Pokegama HMA area. 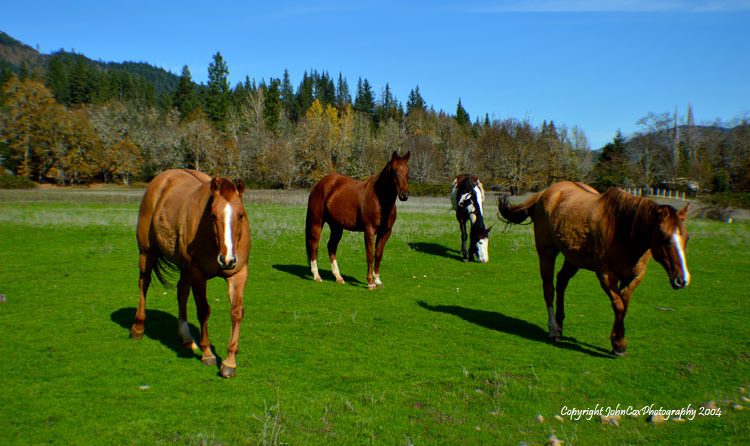 This journalist found the 13 horses the locals in Keno, Oregon stated beyond a doubt existed, and has roamed that HMA over the previous years. One rancher did say he thought the Wild Horse Band grew to perhaps 20, but certainly nothing more than that. Ironically, most of the ranchers there are skeptical of the BLM as well, for other reasons not expressed here. Ironically again, the BLM, and BLM employees in the area of the Pokegama HMA ignore, or a couple noted when speaking with the locals, take part in the sales of Wild Horses off the HMA — Remote corrals very busy at times, and at night, filled with “Stolen” Pokegama HMA Wild Horses, awaiting Kill-Buyers to pick them up with their Big Rigs and double Decker Livestock trailers. Also, rancher’s exchange worn-out, old, or sickly horses for the healthier Wild Horses — and this situation known to be true by Supervisory BLM Staff in Klamath Falls, and the legal prescribed jurisdictional managers of the Pokegama HMA. On several fly-overs throughout the area, and passing over the northern border, along the Klamath River and over the eastern border toward Keno, then slightly into California, this journalist observed no further horse inventory what so ever. Although, there did exist ranch horses obviously, and this journalist wonders if the BLM counter indeed assimilated these domestic horses into the Wild Horse Herd counts. Budgets are also derived from these same Wild Horse Herd Counts, so corruption quite obvious again. Several implications exist here, but more than likely it was done to enrich their management potential in relationship to a larger budget, to make it appear they are managing a larger amount of horses than available? Certainly common folks would not contrive this in order to sell the Wild Horse’s to slaughter plants, but the BLM does so — some suspect this particular BLM, out of Klamath Falls, Oregon, to be breeding for meat-product. They are miles away from any one checking their situation — and BLM employees have a previous history of crimes (see investigations in the early 1990’s of the BLM domestically) so more criminology is not unfounded by this government agency what so ever. And once again, supported by your taxpayer money. This also leads to questions in regard to the BLM-Totals given at the end of the report. Are we to assimilate that our managers are telling us there exists in the Pokegama HMA 50 horses, which in the Lakeview District would create (creativity being the key word) a Wild Horse Count of 450 in this same District. So this develops into a BLM Total of 2,655 in the state of Oregon, with two more apparently small and undesignated District areas (shared with other government agencies) of 200 more horses. This gives their total of 2,855 Wild Horses maintained by the BLM as Stewarts, and for the taxpayers and the actual owners of the HMA. Upon reading the footnotes of this particular BLM document, there seems to be quite a few ambiguous statements made, confusing at best. “When a census for an HMA was not conducted in FY06, an increase of 20 percent was added to the last inventory number to allow for the 2006 foal crop,” So they say. 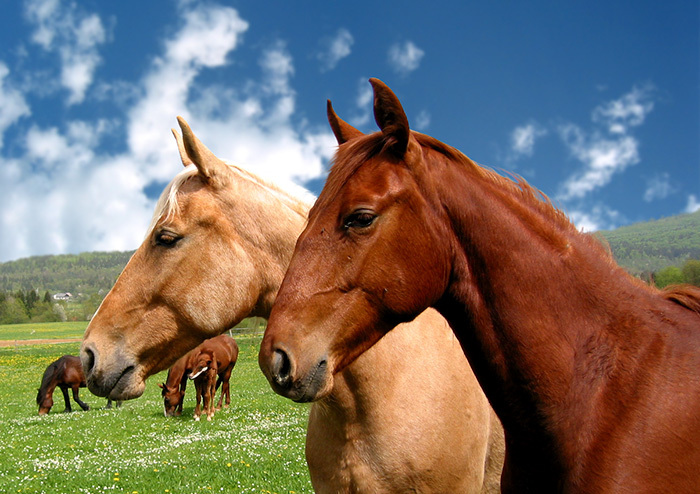 Upon perusing the entire document, even when foals added, there simply appears to be no legitimate reason for any roundups taking place within the state of Oregon. The Oregon Cattleman’s Association, for example, gives the rate of 1.2 million cattle in the state pf Oregon (i.e. approximately compared to 2,500 approximately Wild Horses in the state — lands destruction by horses? No way!). Do not forget here that the BLM Employees state, in several documents, only a 2% to 4% breeding rate yearly exists. So they added a 20% margin, making the numbers unfounded and simply wrong. They must also figure in attrition, foal rates, adoption or culled rates, et al., rather than simply a stagnant number that adds to their already suspicious count. Then consider the 10% margin assumed in all counts — additional, and to conclude making up for error in counts either way. Amazing, isn’t it? If this exemplifies the report process within making roundup decisions on a domestic level, then this is a flawed process, no let’s be honest, it is simply craziness! One can make the argument within the Pokegama HMA, that there is quite a bit of difference between 13 and 72 horses, or even a questionable cross-over rate of in excess of 450 within the district, especially in foal rates, culling of Bands by the locals, BLM sales and adoptions (i.e. both legal and illegal), and general attrition from the horse bands accumulatively in the HMA. The 20% birth rate increase, across the board, also is incorrect and makes no sense what so ever, as the present count taken the last two weeks, two years later, demonstrates this to be beyond a doubt, ALL FALSE. If there does exist a more recent report then this summary, i.e. Sept. 2009 data, it demonstrates that current reports cannot and should not be the basis of decision making. Any reports after this particular 2009 report should be considered flawed, because the numbers simply do not demonstrate any type of legitimate head-count. If anything at all it demonstrates a flawed and questionable practice of averaging percentages, which also is dangerous when considering the life or death decision of our Wild Horses. If these herds were undercounted, then the decision for growth would be made, in particular for viability as well as healthy Ecology reasons. Oddly, the BLM over-counts and the decision for crude roundups and trucking to the slaughter plants takes place at night. Their management budgets also grow larger. It is obvious the dishonesty portrayed here is motivated by money and land use, rather than any truth or reality toward a Wild Horse Herd Management principle or ideology. Ultimately, decisions that are made in regard to life and death matters should be taken seriously. Flawed situations are unacceptable, in total. We need more responsibility in the BLM if they are to manage our lands as Stewarts, otherwise they should not be land or horse-managers what so ever.